Discovered by William Herschel on August 7, 1784. William Herschel discovered this cluster and cataloged it as H III.143. He described it as a very faint round nebula and apparently thought it was a cluster with nebulosity. It was first recognized as globular cluster by Per Collinder in 1931. When compiling his catalog of newly discovered globular clusters, George Abell (1955) included this object, apparently unaware of its identity, as it was not previously classified as a globular cluster. Its identification with NGC 6717 was probably done in 1958 by Alter. 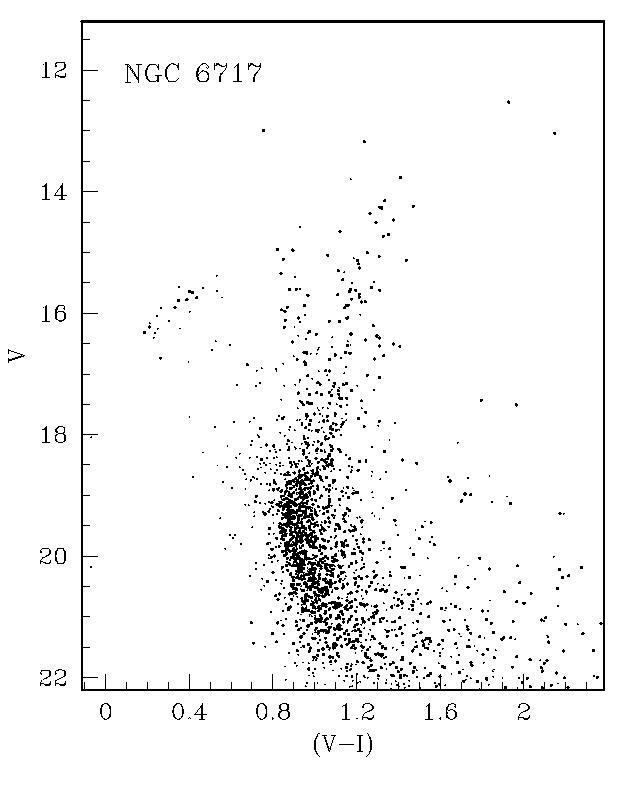 It is of historical interest that a stellar lump in this cluster was cataloged separately as IC 4802 on the grounds of its observation by Bigourdan around 1900 (Bigourdan 434).